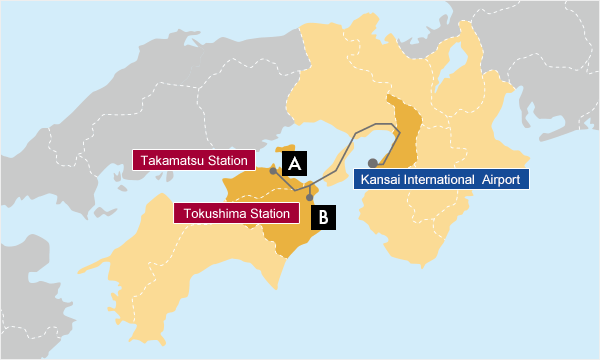 Using the Sanyo-San’in Area Pass, Kansai-Hiroshima Area Pass, Kansai WIDE Area Pass to get to Sakaide/Takamatsu the cheapest and most convenient way to get to Shikoku and travel through Kansai and Chugoku. 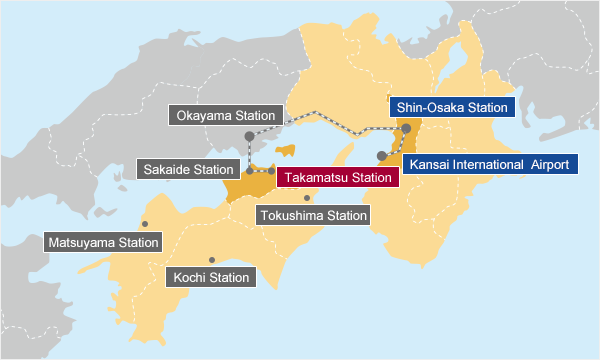 ALL SHIKOKU Rail Pass is available at Sakaide Station Warp Plaza, Warp Takamatsu branch and Takamatsu Station. Use the airport shuttle buses bound for Takamatsu or Tokushima to get to Shikoku by highway bus. Copyright © 2019 Shikoku Railway Company. All Rights Reserved.